Edited by Paraskevi Elefanti et al. This volume is dedicated to studies of chipped stone, the most long-lived, widespread and fundamental artefact type for the study of human prehistory. Chipped stone tools have persisted in use from the dawn of humanity until very recently, often in concert with other forms of technology such as metallurgy. Through their morphology and typology, stone tools form the backbone of our chrono-cultural understanding of early human history. 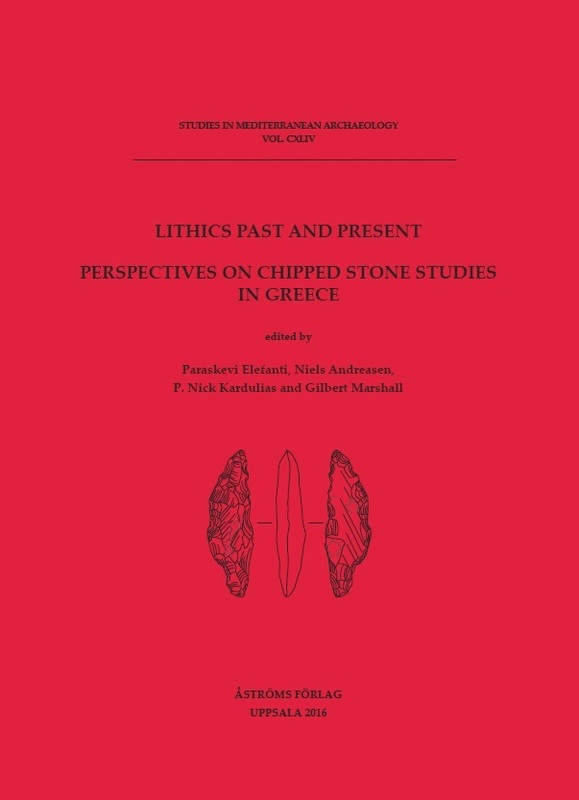 Paraskevi Elefanti, Niels Andreasen, P. Nick Kardulias and Gilbert Marshall, Chipped stone research in Greece: past advances and future perspectives. Curtis Runnels, Greek stone tools: a history of neglect. Lia Karimali, The role of ethnography in lithic studies today: a matter of analogy or differentiation? Eugenia Adam, Methodological issues underlying the analysis of Upper Palaeolithic stone assemblages in Greece. Janusz K. Kozlowski and MaB gorzata Kaczanowska , The role of lithics in understanding the Mesolithic to Neolithic transition in Greece. James Conolly and Andrew Bevan, Lithic technology and the early prehistory of Antikythera. Stefanos Ligkovanlis, On lithic technology terms and semantics. The example of the Asprochaliko Rockshelter Middle Palaeolithic stone industry. Anna Karabatsoli, Early Bronze Age chipped stone technology on the Greek mainland. A re-examination of the material and theoretical parameters of production. Vasilios Melfos and Georgia Stratouli, Raw material and provenance identification of Late Neolithic and Chalcolithic chert artefacts from Drakaina Cave, Kephalonia, through petrographic and geochemical analysis. James Newhard, A survey of chipped stone resources and production in the Argolid.